Read the official news from the press release. 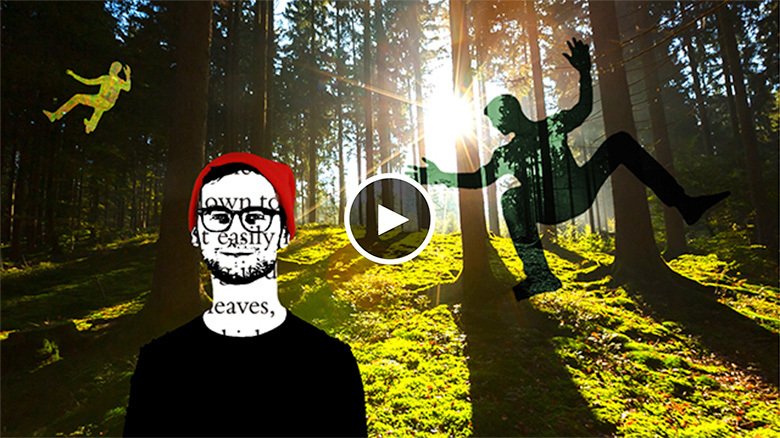 Flocabulary was started by Alex Rappaport and Blake Harrison, musicians and entrepreneurs. Their journey together started in 2003 when they met waiting tables at an Italian restaurant in San Francisco and became fast friends. They often played pickup basketball before their waiter shifts, and it was during one of those games that Blake mentioned to Alex the idea of what would later become Flocabulary. After writing a handful of songs for SAT prep and performing live at schools, it became clear that Flocabulary not only helped students learn vocabulary but also engaged and inspired them in profound ways. The program has been heralded as “groundbreaking” and “necessary”, and Flocabulary artists have performed on stages from The UN to the EdSurge Fusion Conference. If you haven’t experienced the power of Flocabulary yet, make sure you out check this lesson about Setting. Watch, listen and learn about Setting here. 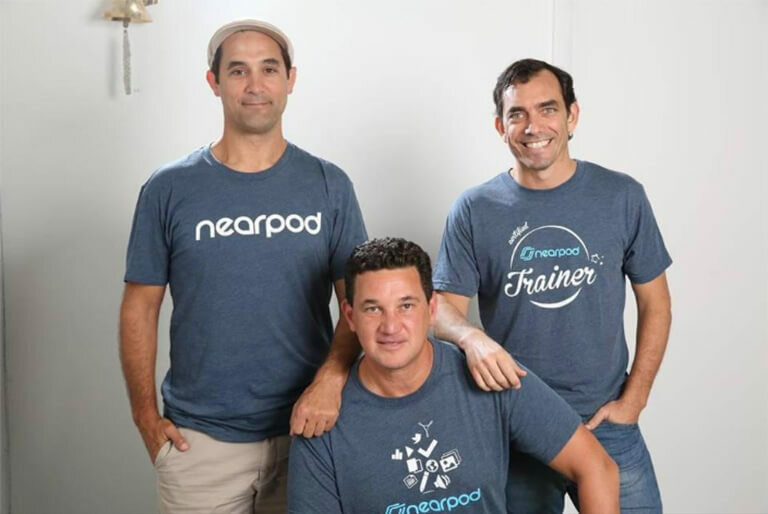 I co-founded Nearpod with my friends Felipe Sommer and Emi Abramzon. The three of us are immigrant entrepreneurs from Argentina. We attended the same schools growing up and have been friends for decades. In 2012 we started Nearpod after seeing a real opportunity to bring unique innovation to the way teachers led their classrooms by leveraging the power of mobile technologies. As soon as we started visiting classrooms and building empathy for the work of teachers, we knew that we could help teachers engage ALL students using technology. The common refrain we shared each time after leaving those early pilots was “Aca hay algo” (“There’s something here”). Why are we joining forces now? 1. Our missions are highly aligned. The first thing we realized is that what really unites us is our drive to engage students and bring joy to every classroom. Student engagement is cited as a top priority by 91% of superintendents. However, Gallup surveys find student engagement drops as they move through school. By 11th grade, only 32% of students feel engaged in the classroom. This lack of student engagement has also been linked to challenges such as chronic absenteeism and poor academic performance. At both Nearpod and Flocabulary, we work on solving the Student Engagement Crisis through two highly complementary approaches. After much thought, we realized that as a whole we can do more than the sum of our parts. 2. Our products are very complementary. Flocabulary’s culturally-relevant, media-rich content captures student interest and inspires creativity. These video-based lessons fit well in multiple teaching modalities, whether it involves a teacher in front of the classroom or students watching videos and rapping at home. Nearpod’s platform is primarily designed for elevating student voice in device-rich classrooms, and combines a variety of ways for all students to learn and demonstrate their understanding. Research shows that engagement and achievement increases when students’ interests and voices are respected and reflected in the classroom. 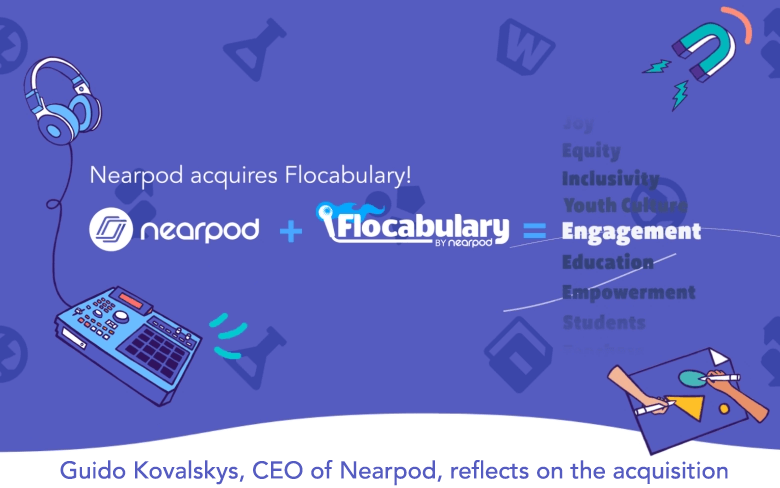 The combined solutions from Nearpod and Flocabulary will help schools and districts authentically engage their students in the midst of this Student Engagement Crisis. Our product, engineering and content teams are already “geeking out” dreaming about the fun and engaging new solutions that we’ll be able to bring together to classrooms. Teachers and students should stay tuned for new awesome products that will come from the best creative talent that both Brooklyn and Miami can offer. 3. Our future together: the chance to build the best Student Engagement Platform. The biggest reason for our two teams coming together is the opportunity ahead. By now everyone has realized that the industrial model of education no longer works. If there is a team in our industry that has envisioned the future of education to be starkly different – to be joyful, to be engaging, to be rigorous – it’s us! Together, we’re already helping teachers engage each and every student with a technology platform and digital content that teachers and students love. But teachers need more. They need 100% student engagement. And together, Nearpod and Flocabularywill solve that need. Thank you for being part of the Nearpod and Flocabulary family. Here’s to our next chapter. Together.